CAMP PRESIDENT QUIRINO, Ilocos Sur, Jan. 21 (PIA) -- Police operatives intensified the campaigns on “no plate, no travel policy;” and “no helmet, no travel policy” along the national highway in the province to prevent crime incidents and vehicular accidents. 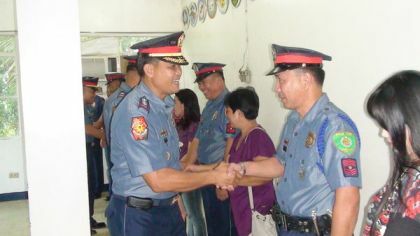 Ilocos Sur police director Sr. Supt. Noel B. Amoyen said Friday that these campaigns are incorporated to strengthen police integrated patrol systems that are strictly implemented by all police stations and special police units all over the province. “Actually, our province is generally peaceful but we need to implement these initiatives to control vehicular accidents and to deter criminal groups from doing illegal activities in the province,” Amoyen said. In addition, he said that lawmen are strictly implementing these policies in compliance to the directive from Ilocos Sur Governor Luis Chavit Singson in an all out war against motor riding in tandem criminals. During the recently concluded Provincial Peace and Order Council (PPOC) meeting held in Baluarte, Vigan City, Singson ordered the mandatory inspections on all vans with suspicious movements travelling along the national highway and all riding-in-tandem motor cyclists.